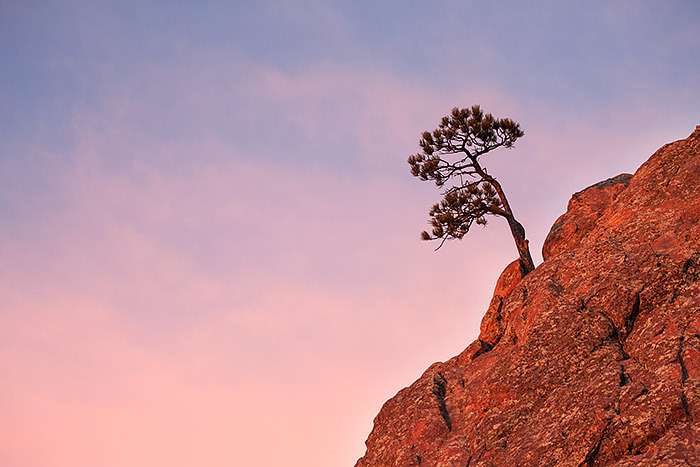 A lone pine tree clings to exsitence on the side of a rock along the flanks of Crown Rock near Boulder,Colorado. Halfway up Flagstaff Mountain, this lone pine manages to persevere in the face of high winds, lighting and little soil. It's beauty on full display as the sunrise paints the sky and rock pink and red. Photo © copyright by Thomas Mangan.